This past weekend (Friday, Nov. 9 to Sunday, Nov. 11), I attended four vocal music performances (three operas and one oratorio) which shows that Montreal is a vibrant city for voice lovers. Friday: Opera McGill presented a hilarious Albert Herring by Benjamin Britten. Sadly, this comic opera is not produced enough nowadays. This score is worth discovering. The highlight was the simple yet very effective stage directing by Patrick Hansen. The second cast was generally good. Unlike some previous Opera McGill productions, there were no surtitles and many of the jokes were lost as many of the words were not understandable, even to anglophones. Saturday afternoon: Mundia Productions presented Mozart’s Requiem and the Piano Concerto no.20 in d minor K 466. The Societe Philarmonique du Nouveau Monde choir sang with bravura and their voices shined in the loud passages. 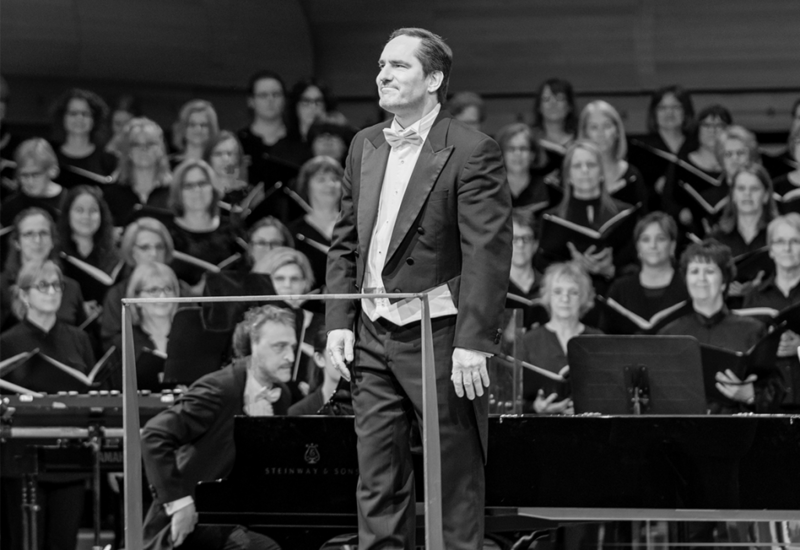 The beauty of soloist vocices tenor Éric Thériault and mezzo-soprano Stéphanie Potier stood out. Read the review. Saturday night: Bass-baritone Nathan Berg shone in the production of Der Reingold by Opera de Montreal. He struck gold with his dramatic stage presence, his steely voice and incarnated his character in body and voice, colouring every sound to match the meaning of every word he sung. It marked the first time that this work is staged in the history of Opera de Montreal. Read the review. Sunday afternoon: L’Opéra Bouffe de Québec presented to a sold-out house the operetta Le Chanteur de Mexico by Francis Lopez on Sunday, November 12. This company is a good example of how to produce an entertaining show when you don’t necessarily have a big budget or an all-professional singers cast. The choir and the orchestra were on point, but tenor lead Asitha Tennekoon was disappointing.